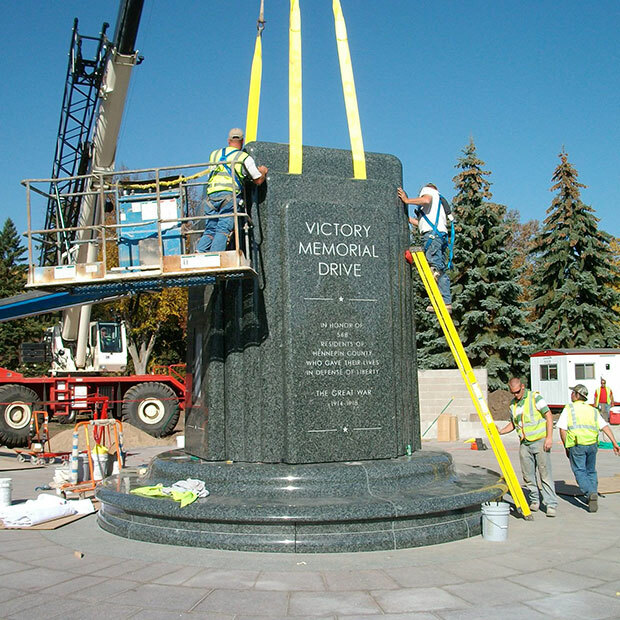 Trees and monuments along Victory Memorial Drive honor the 568 Hennepin County service men and women who died in World War I. 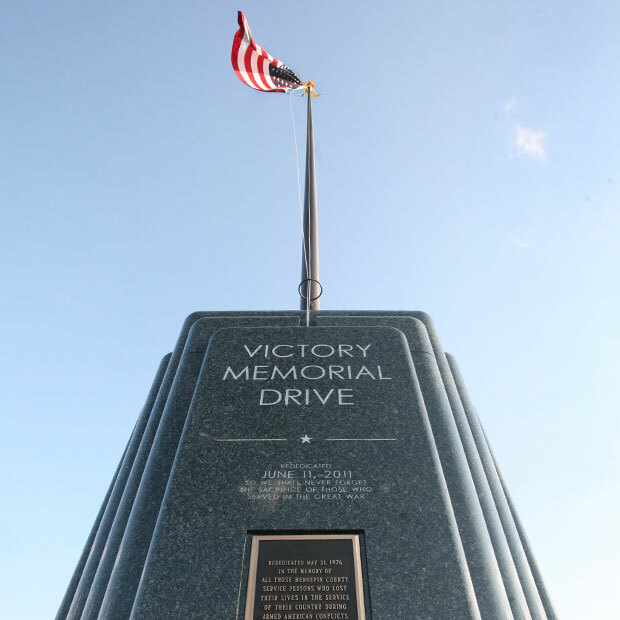 Dedicated to fallen soldiers in 1921 and rededicated in 2011, the drive is located in the northwest area of Minneapolis and the eastern border of Robbinsdale. 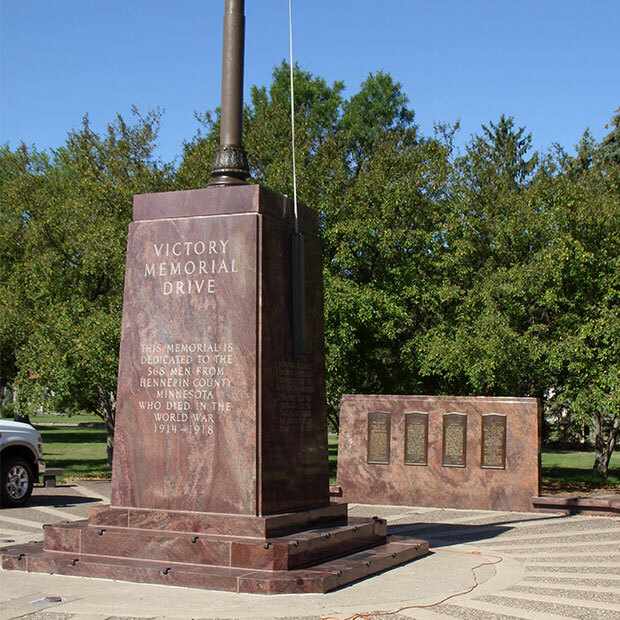 Victory Memorial Drive is part of the historic 50-mile Grand Rounds Scenic Byway System owned and managed by the Minneapolis Park and Recreation Board. November 11, 2018, marked the 100-year anniversary of the WWI armistice, which ended fighting on land, sea and air between U.S. allies and their last opponent, Germany. The armistice called for a ceasefire effective at 11 a.m. Paris time on November 11, 1918 (the 11th hour of the 11th day of the 11th month). 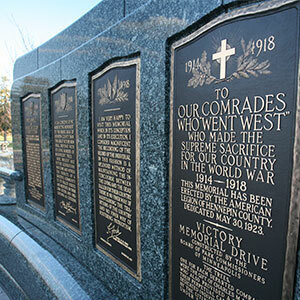 Hennepin County, in collaboration with the City of Minneapolis, Minneapolis Park and Recreation Board, and City of Robbinsdale, recognized Veterans Day and the 100th anniversary of the World War I armistice on Sunday, November 11, 10 a.m. Moment of silence at 11 a.m.
Remembering World War I soldiers group – Join the public group to view and share stories of soldiers from Hennepin County. 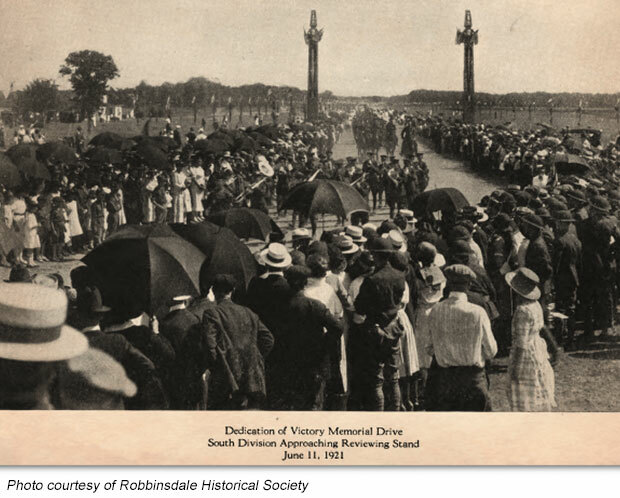 More than 30,000 spectators joined international leaders in dedicating Victory Memorial Drive on June 11, 1921. 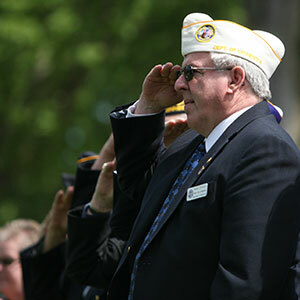 Included as part of the ceremonies were messages from U.S. President Warren Harding and Vice President Calvin Coolidge. 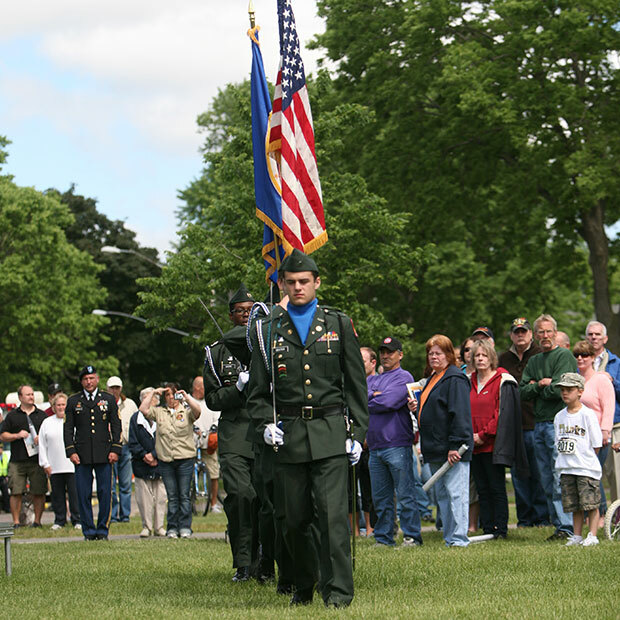 More than 1,000 elm trees – 568 serving as living memorials for fallen soldiers – lined the street. 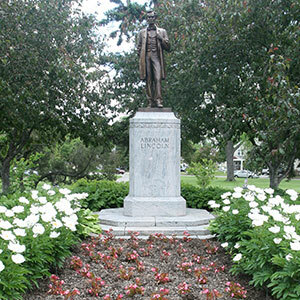 A flagpole plaza, small park and statue of Abraham Lincoln were constructed in the northwest corner of the drive. 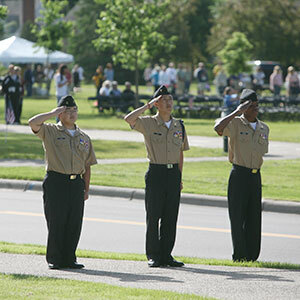 "Never since the stirring days of the war has there been a more impressive appeal for Americanism than the services at the planting and dedication of trees which line half the drive and bear the names of soldiers, sailors and nurses. Every patriotic organization was represented in two columns of a great parade, in which thousands marched." Several thousand community members attended the event which featured a flyover, live music, and exhibits of war artifacts and machinery.